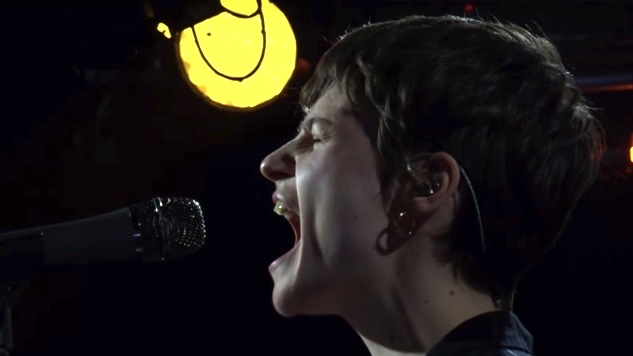 Watch Christine and The Queens Cover Maroon 5 and SZA's "What Lovers Do"
“What Lovers Do” is from Maroon 5’s most recent album Red Pill Blues and it features vocals from standout R&B singer SZA. Backed by keyboard, synth and drums, Christine and The Queens takes the pop hit and turns it into an enticingly intimate and stripped-down track. “Girlfriend,” featuring Dâm-Funk, was released back in May as the first single on Chris and it has already seen some mileage after Letissier’s performances on Later… with Jools Holland and The Tonight Show Starring Jimmy Fallon. You can listen to both songs from the BBC set below. Chris is out via Because Music on Sept. 21 in both English- and French-language versions. Back in 2015, the same year as her self-titled release, we highlighted Christine and The Queens as the Best of What’s Next—read the feature here.